By using the assessment model DiSC we can understand the different behavioural types and styles present in the workplace and thereby formulate more effective working relationships. The DiSC tool is designed to aid people in exploring personality and behavioural types in an effort to create a better understanding of one another. In being derived from the ‘Four Trait Theory’ first used by the ancient Greeks back in 400BC, the ‘DiSC profile’ has the impressive distinction of being founded on the original and oldest system of personality analysis. The Four Trait Theory underwent a major modern revamp when in the 1970s, and using the work carried out in 1928 by the celebrated physician, inventor and author William Moulton Marston, the American psychologist John Geier developed the DiSC profile. Improve team relations and reduce conflict. Cultivate highly productive and efficient teams. Become a better manager of people. Every employee has their own DiSC profile and this based on a combination of the four primary behavioural dimensions – dominance, influence, steadiness and conscientiousness, as represented by the D.I.S.C. acronym. Dominance is the most direct and decisive of the four personality traits. In relating to control, power and assertiveness, it creates bold and strong-willed people who enjoy competition, challenges and excitement and readily welcome danger, risk and new concepts. The ‘I’ of influence relates to social situations and communication. Along with dominance it is an ‘active’ trait that fashions optimistic out-going people who like to interact with others – sharing ideas, entertaining one another, being part of a team. The ‘I’s thrive on being popular and being recognised and fear losing social approval. Once known as ‘submission’ in the time of Marston, the more positive S of steadiness is defined by the characteristics of patience, persistence and thoughtfulness. It is a cooperative and hard-working trait and as one the two ‘passive’ types it creates dependable, committed and agreeable people who enjoy working, raising families and are happy to stay in one place loyal to one job. The second passive trait is conscientiousness – which Marston referred to as caution or compliance. This relates to structure and organisation and refers to a trait that defines people as cautious, concerned and correct. Cs takes pride in the quality and accuracy of their work, fear criticism, thrive on planning and details and always ask why. Each of these basic behavioural styles has their own strengths and weaknesses and so none of them are better or worse than any other. Although made up of a combination of all four traits, every individual is believed to be dominated by one. This particular style influences the way they act, react and interact. As the four conflict with one another in particular ways, people dominated by the same trait tend to get along better. 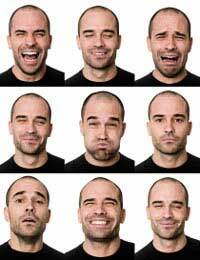 Nevertheless the behavioural patterns of one trait can also complement those of a different one. This shows how understanding the DiSC profiling system can help create more effective working relationships. In using the profile in understanding the behavioural traits and personality of each member of your team it enables you to formulate a more effective team make up by helping to decide which staff members should, for example, work together, and which members should be put in charge of particular duties.